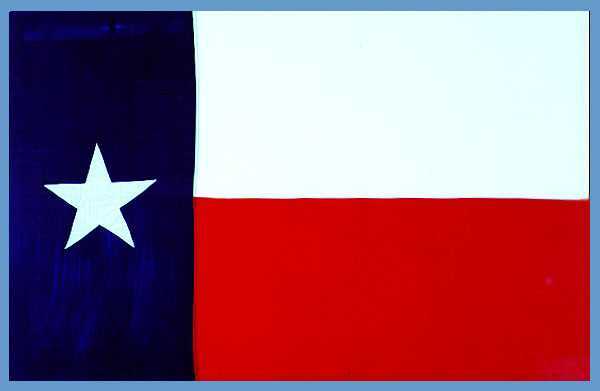 I am planning on moving with my family to Texas over the next several months. I will detail the whys and hows later, but suffice it to say that my focus on this blog will be a bit broader as I ready to plant a church somewhere in the Austin area. I am the last person in the world who would ever think of planting a church. And in Texas? Through a series of circumstances, counsel with people and confirmations in God’s Word, I made this choice, almost surprising my Pastor (he’s always believed in me), and most of all, me. Nothing to read into this. No hidden motives. No secret sin. This is a sovereign work of God who is still in the heart-changing business. He changed my heart—and the heart of my wife and little girls. And I’m not as nervous as a cat in a room full of rocking chairs, neither. Except when I think about it. He lives in that area. If you hang around him long enough, you might learn why your beliefs are so completely misguided. Speaking of which, you should go on the Atheist Experience. They’re based in the Austin area. You could either debate them in person or call into their program. Up for the challenge Steve? I’ve seriously considered the move too. Most of my family lives there. How’d your kids take it? Mine are 15 and 12. They are excited. Time for you to go, Eric. Maybe Houston is more needy, I see where they just elected a lesbian mayor! You oppose her simply because she is a lesbian???? Boldly stepping out to one of the most Christian States in the Union. Good luck! Remember, “Christian.” It’s culturally Christian with pockets of atheism Vs. Calif. which is the exact opposite. Which sorta surprised me that you’re moving to one of the most atheistic parts of Texas, the blueberry in the tomato soup, Austin. Dallas is pretty liberal too, but Austin has us beat. I do need some people to share the truth with. We’re gonna miss you, Pastor Steve!! Will be praying for you & your family! Awesome! I’m reminded of about ten years ago, my family was part of a wonderful little church in Boulder, and with the 2003 recession/difficulties in the area, God sovereignly chose to move about a fourth of the families elsewhere. It is as if when we serve Him, He decides at a certain point that we’re ready for a new mission. I am so happy for you and your family! Know that you will be greatly missed at Hope Chapel, but we will be praising the name of Jesus for y’all and we have to have a hoe-down before you leave! I can’t wait to read about the move and of how God will using you there! Oh wow Steve, welcome to my state! And AUSTIN!? You’re settling in the liberal area? I figure you’d be more at home out in the country where most people will agree with you. I guess moving your family is Bold but bold woul d be moving to San Francisco… or China. Take mini fans with you when you evangelize, climate change has given us wonderfully scorching 104+, humid summers that last for months. =) You’ll have to share what church in Austin you’re at so next time I drive through I can visit. Hey Pastor Steve that means you will be just a little bit closer to me! Will at least be in the same time zone! God bless on the move brother!!! Hey Steve its always hard to say good bye. But Gods will is first, thank you for everything I mean you spoke into my life through youtube, on the box, your website , outreaches . I thank God for you. You will be in my prayers. My wife and I have started two churches in the past , its an adventure. I hope to remain in contact with you. Question : 1.will there be outreaches by someone taking your place? And can we attend ect….Again thank God for your ministry. Check out Rudy’s BBQ. Good food, reasonable prices, and lots of people to talk to. A liberal preacher in the Conservative Bible belt. Sounds like oil and water trying to mix. God bless. Compared to some people in Texas Steve… you are liberal. If you don’t have guns, a bible, a racial slur to speak amongst a similar group of same skin colored individuals, and the ability to be vocal and proud about it, you will be the lib among conservatives. Steve, you’re a Californian. To a Texan, that’s defacto “liberal”. As long as it’s not near me . . .
He’s gonna’ hunt ya down! You know you’ll have to add a 10-gallon hat to the “Stoning of Steve” photo of your blog…lol! God’s abundant blessings to you, your wife and two beautiful daughter! Gosh Steve, We shall surely miss you, you have been a vibrant Hope in hope chapel. We have learned so much from your sermons and from the singles. I am a better person for your teaching and for what God wants for single people. You have given many the inspiration in evangelizing, I will keep you in my prayers that God will lead your every step and your families. you will be sorely missed. Due to the expensiveness of this region I to have been looking else where.. I hope God is guiding both our feet and not leaning unto our own understanding..
Well, Steve, this is a surprise! I wish you and the family well. Have you then gone from the frying pan into the fire!? ha haha I do remember your singles classes that I and many others took many years back: they served to emphasize what the Lord was showing me regarding opposite-horizontal relationships. I learned much and still spout what I learned from the Lord and you to others I meet along the way. But it is our relationship to the Lord that is uppermost in my heart and mind today. I used to grieve that I never found true horizontal love: but Christ is enough for me! In him all our spiritual and therefore natural needs are met. His love was before the foundation of the earth and will continue; he is no respecter of persons and therefore loves all equally; his love is unconditional. For those who I meet and speak about such things, I do not ask them where they are going after death – it never enters my mind: for Christ is God’s kingdom of heaven on the earth – which we may be part of in the here and now. Christ told us that the Kingdom of God / Kingdom of Heaven (mean the same thing) was at hand or in the midst of the people: he is that kingdom! He resides within the spiritual part of us (his temple/church/ekklesia/abode etc), waiting for us to relinquish our life of sin (which is death) that we may have Life in Christ! We become one with him ONLY if we chose to center our life on him only. He is to be above all else in our lives. We are to lay aside our own agenda and totally submit to God to become His tool in His ultimate purpose/agenda – which is to gather all things together in Christ : that we may become one with the Father and the Son. Ultimately, it is not about where we are going to go after physical death (that is but a distraction): it IS about our daily relationship with the Lord. For the Lord must be our focus moment by moment, that we may hear him speak and act accordingly, thereby giving ultimate glory to God! May we always and in all ways glorify God with all of our being!